Back of the Net opens by introducing American teenager Cory Bailey (Sofia Wylie), an accomplished singer, dancer and actor, who is probably best known for her role as Buffy Driscoll on Disney Channel's hit series "Andi Mack". 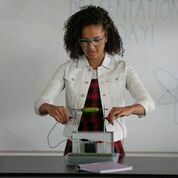 Cory is excited to be attending the Harold Science Academy Semester at Sea in Australia, while her parents travel to India for volunteer work. Cory, bright, ambitious and totally vivacious has buckets of potential but not much interest in anything outside of science, including friends. With a singular focus (i.e. science) Cory has that mad scientist like tendency to lose sight of the small details. As a result, she accidentally boards the wrong bus at the airport. Instead of heading to the sailing boat, Cory finds herself at the school's Soccer Academy. 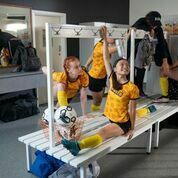 Coach Smith (Kate Box), who plays an iconic and delightful Australian character, informs Cory that her science ship has well and truly sailed; leaving Cory no option but to stay and complete the semester at the Soccer Academy. Cory soon meets some gorgeously welcoming roommates, a dreamy soccer loving boy called Oliver (Trae Robin) and his overbearing and bitter friend Edie (Tiarnie Coupland). During tryouts, Cory and her warm roommates find themselves in the WOTB team; that is the #Worst Of The Best team. With the future of the team in jeopardy, Cory must turn to science and call on her roommates' talents to save the day while also juggling Edie's spiteful attempts to sabotage her newly found soccer ambitions and blooming romance with Oliver. Back of the Net, directed by Louise Alston, is a clean and fun family film with strong messages about friendship, fair play and having a go. All the performances were strong, however, I think the standout performance was from Tiarnie Coupland as Edie. I also must confess that I left with a real soft spot for Coach Smith played by Kate Box. 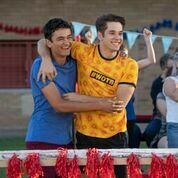 While I would recommend this film for the target young teen audience, I would have liked to see a less 'Disney type' treatment of the characters and story; the characters sometimes felt too whitewashed and while set in Australia, the film was packed with grating Americanisms. 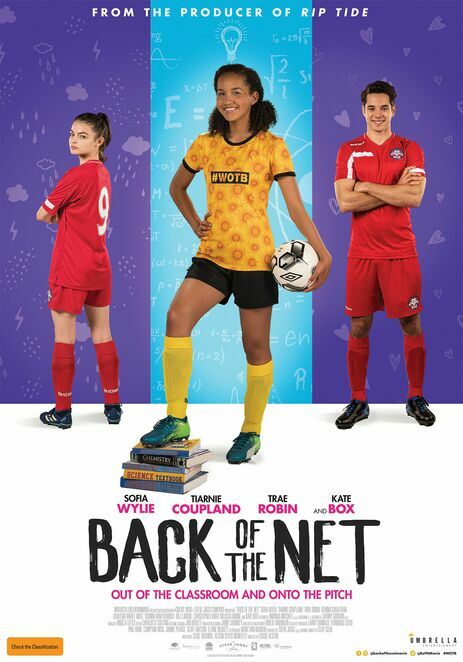 Back of the Net, rated G and running for 86minutes, will open in Australia cinemas on April 11th, 2019.